For athletes, injuries are major issues that prevent them from competing, curb their training regiments, and in some cases, even cost them money. Athletes that experience major injuries, like tearing of their anterior cruciate ligament (ACL), usually need surgery if they want to continue playing sports after surgery. Healthcare providers like Revere Health can help support and manage treatment options for individuals that suffer from ACL tears. A sprain of the ACL is a common type of knee injury. ACL usually occurs among athletes who participate in team sports like soccer, football, and basketball. It can be caused by a number of factors, including rapidly changing direction, direct contact or collision, and landing incorrectly from a jump. Most ACL-related injuries occur alongside damage to other ligaments or structures in the knee. Partial ACL tears are rare and most people who suffer from them require surgery to regain full function of their knee. Treatment of ACL injuries will vary depending on a patient’s individual needs. A less active and older individual may not need surgery if they intend to return to a quiet lifestyle. The elderly and those with low activity levels may find that nonsurgical treatment options for ACL are effective and sufficient for regular everyday functioning. These treatment strategies can include braces to protect the knee from instability and physical therapy involving specific exercises to restore knee function and straighten leg muscles. On the other hand, younger people and professional athletes are more likely to choose intensive treatment options, like surgery, to improve the condition of their ACL so they can continue to play sports. 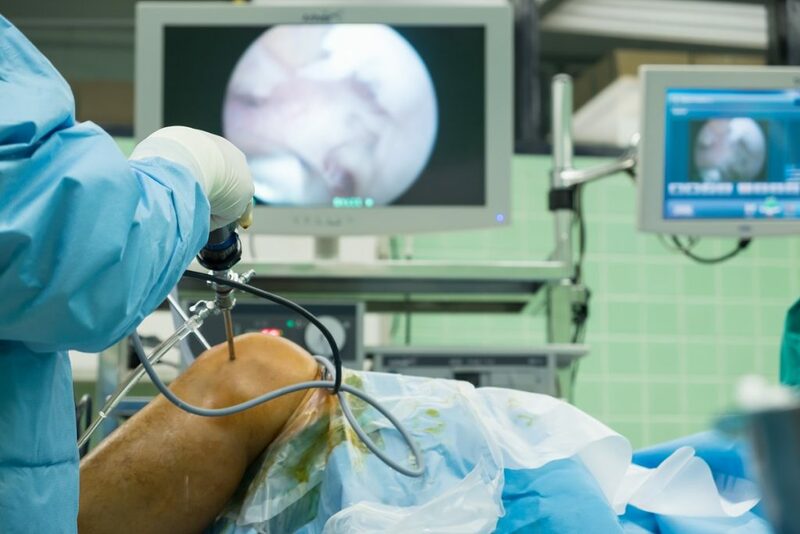 As most ACL tears cannot be stitched back together, a surgical treatment often involves rebuilding and reconstructing ligaments. A damaged ACL has a low potential of healing and will likely have to be completely removed, reconstructed, or replaced. It may take a lot of time for a patient to return to sports after surgery. Rehabilitation programs help patients return to normal level of daily functioning. Physical therapy strengthening programs designed to protect the new ligament can also contribute to regaining knee strength, enhancing range of motion to the joint and to surrounding muscles. The return to sports path after an ACL tear and surgery depends on the level of injury severity and the amount of physical therapy that an individual chooses to undergo. Most professional athletes are sidelined after sustaining an ACL tear. Their return to sports path is often predictable but a high percentage may be back to training and playing within a year. They will usually be able to return to their pre-injury level of activity after the reconstruction surgery. In many cases, athletes who come back from an ACL injury are fitter and stronger than their peers. While sidelined, athletes often direct more energy into core strengthening and flexibility and this allows them to gain a competitive advantage. Non-professional athletes, in comparison, have a more unpredictable return to sports path after an ACL surgery. The rehabilitation program is difficult and these athletes may choose to prioritize work and other aspects of their lives instead. A successful return to sports after an ACL reconstruction surgery can be difficult to achieve and is likely dependent on the severity of the injury, as well as on the athlete’s commitment to the sport.